who in 1967 published a short story titled “I Have No Mouth and I Must Scream”. It won a Hugo Award in 1968. I am pretty certain it was not the author’s intent, but the title does sum up some aspects of an autistic person’s life. What brought it to mind was recent analysis of the genetics of cleft lip and cleft palate. Both conditions are serious and tragic – even wanting to express the most basic human expression – smile – is difficult. A cynic would suggest that the presence of cleft palate and cleft lip genes on 21 of 23 chromosomes probably means genes 17 and 21 need to be studied more closely. 69 genes so far!? A common observation is that people with autism seem to be sensitive to dairy products and to foods containing gluten – like bread and pasta. The sensitivities range from rashes to digestive problems to undesirable behaviors. There are two genes strongly implicated in gluten metabolism on chromosome 6 but they are not especially close to the only autism gene (so far) on that chromosome. 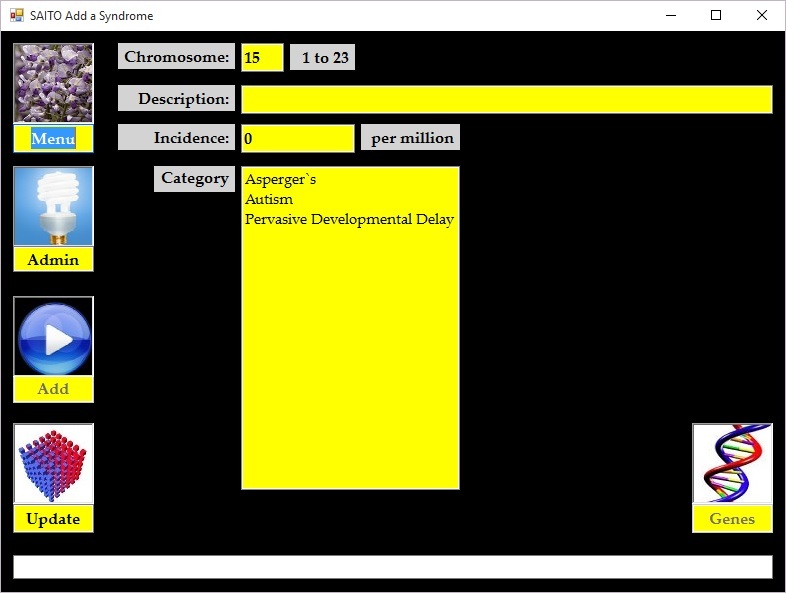 Likewise, there is a third gene, RMRP, at P13.3 on chromosome 9 but it is currently not close to anything involved in autism. Over 100 genes on 23 chromosomes can cause something like autism. I don’t know (yet) how often someone with autism also has heartbeat problems. There are at least two challenges here: bradycardia when your heart slows down down to 60 or fewer beats a minute AND tachycardia when your heart speeds up to 100 or more beats per minute. Both are dangerous. So just being around people who might exhibit these conditions, let alone teaching them tai chi chuan, is somewhat difficult. It is fondly hoped that people with either cardia (autistic or not) would be wearing a smart watch, and someone nearby would be able to preempt somehow before the heartbeat varies too far from 72. 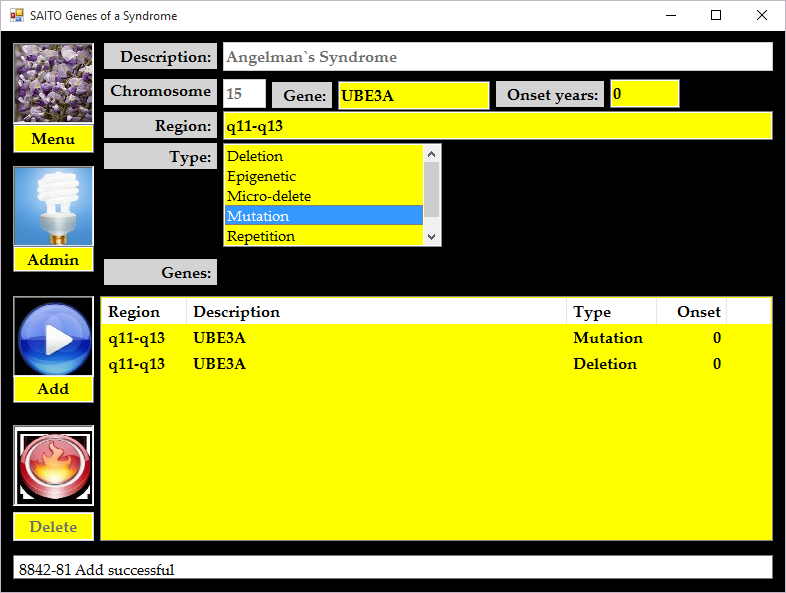 Suppose someone was autistic because there was a multi-gene deletion. If they were autistic and had paroxysmal tachycardia it would be reasonable to guess that one of the other genes deleted was involved in heartbeat. But the vast majority of reported bradycardia and tachycardia problems are single gene mutations. And none of them seem to be especially close to autism genes. Sure, you have to be really unlucky to be autistic in the first place. So far, there are 22 genes on 13 chromosomes that are linked to bradycardia and 35 genes on 16 chromosomes that are linked to tachycardia. If tachycardia or bradycardia were truly independent of autism there shouldn’t be a difference of incidence between autistic and neurotypical populations. No evidence of master genes that control other disparate genes. Maybe methylization or some epigenetic is involved. If not, something is seriously wrong. So what is the enemy? which is by tradition convened at the Palace of Versailles. Here is a link to a YouTibe video of the French Congress singing their national anthem, “la Marseillaise”, in tribute to Paris victims after President Hollande’s speech. Right now, the news from France sounds very dark. 1. More than 100 genes (my list so far) can cause autism. 3. There are indeed syndromes that involve genes from multiple chromosomes. Such cases are usually hideously complicated to treat. 4. I am unhappy that there’s at least one gene on each of the 23 chromosomes that causes autism. 5. I am hoping the prevalence estimates are seriously wrong – otherwise the incidence of Autism Spectrum Disability in the US and most of Europe will not be 1.5% or 2% but likely more than 4% or even 5%. In South America, Asia and Africa – who knows? A. some small number of drugs is NOT going to get the job done. Some less than inspiring news: I am plodding through the government sponsored and maintained National Library of Medicine. It contains information about thousands of individual genes. In the early early days of autism Freudian analysts like Bruno Bettelheim asserted that the condition was due to “refrigerator” mothers who did not love their children. While BB did make some contributions, this theory was utter rubbish. Eventually, some biochemists focused on aberrations in chromosome 15. Then it turned out there were also problems on chromosome 23. If you are a human female you have two X chromosomes for your 23rd pair. Males have XY for their 23rd. So for males if something is wrong (a deletion, a mutation or an addition) in the arm of the X that essentially has no counterpart in the Y serious trouble follows. Women usually only have the same trouble if both their X copies have the same flaw. That became known as Fragile X syndrome. Sometimes whole chains of genes are missing either on the X or on 15 – that’s almost always really bad. Researchers at UC Davis found another autism hotspot on chromosome 22. On a good day a chromosome looks like a V with asymmetric arms. The shorter arm is known as p and the longer one as q. I guess “L” and “S” were too confusing. 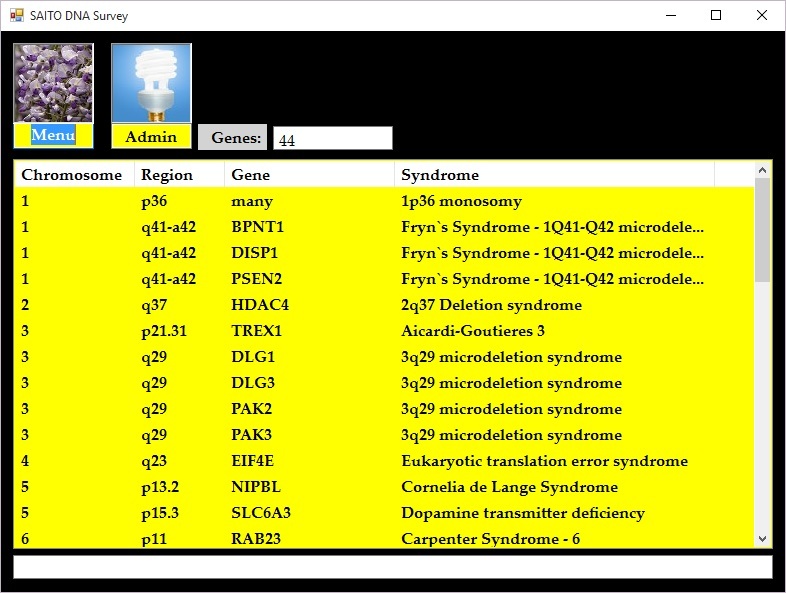 Regions with each arm are numbered so what UCD has a special group for is problems in 22q11.2. 3. even if a person has a known problem and has symptoms so what? Then what can be done? B. We think he or she should be able to learn Chen style Tai Chi Chuan at such and such a rate based on how other students did. C. There’s a database (without names or addresses) that has info about learning rates and collateral events like diet, medications and so on. Maybe that information will be useful for you, your doctor and the child. D. At the very least, you can use the daily scores to measure how effective changes to medications, diet and sleep are. As astute readers have already guessed, the real headache comes when we try to say how close two people are genetically. The distance function for San Carlos to Concord is pretty well understood at this time. There are actually two – as the crow flies and by road. 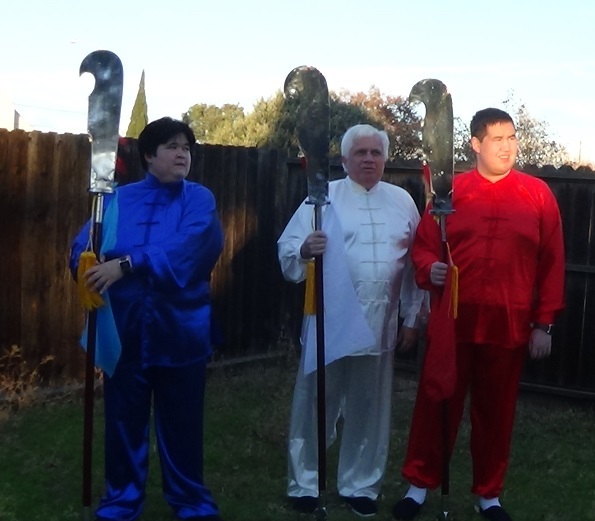 How similar the DNA of two people is in terms of how they might be able to learn tai chi chuan or anything else – that’s a lot tougher. So far, I am rolling toward more than 100 genes that are involved in various types of autism. There is at least one autism gene on ALL 23 chromosomes. Some syndromes involve multiple chromosomes. Not the results I was hoping for. TWO PROBLEMS: (1) there are lots of genes that are linked to autism (2) so far, at least one on every chromosome. Not the results I was hoping for.